The Residents, staff and Board of Directors of Interval House take this opportunity to thank you. Your concern and caring for the women and children forced to leave their homes due to family violence is truly appreciated. In our struggle toward zero tolerance of family violence, we are encouraged by the support of our partners in the community and surrounding areas. WAYS TO DONATE TO SASKATOON INTERVAL HOUSE. 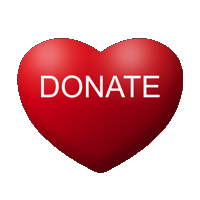 Monetary Donations – allows us to allocate the funds where it is needed most. 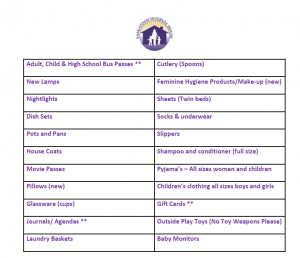 Donations help us operate the much needed programs and services we offer. If you would like the donation to be anonyms please let us know and we will make note of it on our files. If you wish to donate online, please click here or click the heart button located at the bottom of the page. United Way Donor Choice Program – You can select our organization as your charity of choice. To designate United Way contributions (or a percentage of contributions) to our organization, please indicate our organization name and charitable registration number (listed on the bottom of this page) on your donation form. Employee Matching Gifts -Many companies today understand the importance of demonstrating strong corporate social responsibility by supporting charitable organizations, and encourage their employees to share this responsibility to donate through donor matching programs; through corporate donor matching, your employer multiplies the value of your gift and with this, the ability to make a difference in our community. Check with your company’s Human Resources department to see if this program is available.